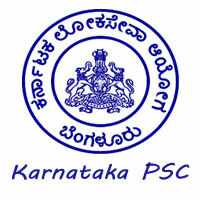 KPSC Jobs Recruitment Notification 2019.Karnataka Public Service Commission, KPSC inviting applications for the positions of Secondary Division Assistant (SDA) and First Division Assistants (FDA).Interested and Eligible candidates can apply for the positions. Last Date for Submission of Application is on March 12th, 2019. Number of Second Division Assistant positions to be filled in Courts of Karnataka (HK & RPC) are 574 (494+81), First Division Assistant vacancies to be filled are 269 (219+50). Applicants can refer the official advertisement to know category wise segregation of vacancies. Inter/ PUC qualified contenders from a recognized board can apply for KPSC Recruitment 2019. Candidates those who passed bachelor degree/ BA/ B.Sc from any recognized university established by Law can apply for KPSC FDA Jobs. Minimum age limit is 18 years, maximum age for UR category candidates is 35 years, 2A/2B is 38 years and SC/ST is 40 years. A monthly income in between Rs.11,600-21,000/- the selected contenders will get. To know in detailed please refer the notice from useful links. Based on applicants performance in written exam and interview session, the selection committee will recruit eligible persons. To know FDA SDA Exam Date 2019 applicants can refer the job advertisement. Mode of applying for KPSC FDA SDA Recruitment 2019 is through ONLINE mode. 11th February 2019 is the start date to apply and 12th March 2019 is the end date for submission of applications. Go to the Notification Page. Click on the respective KPSC FDA SDA Notification 2019. Click on “Apply Online” button. Fill all the required details, upload signature, photo & other documents. Make payment after giving all the data. Take print for further use. Application fee for General category applicants is Rs.300/-, 2A/2B/3A/ 3B applicants is Rs.150/- Make payment on or before 13th March 2019.